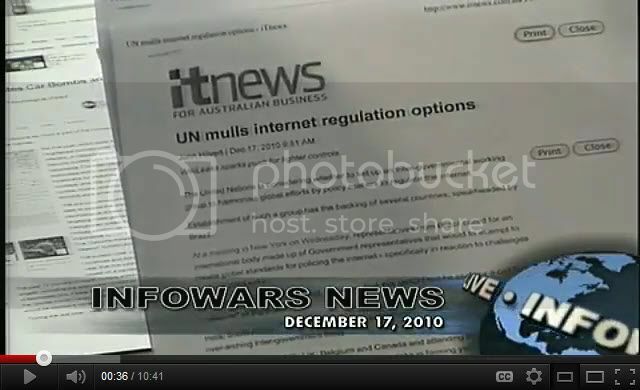 Re: ALERT - United Nations To Seize Control Of Internet ?!? Top-down, international regulation is antithetical to the Net, which has flourished under its current governance model. If successful, these new regulatory proposals would upend the Internet's flourishing regime, which has been in place since 1988. That year, delegates from 114 countries gathered in Australia to agree to a treaty that set the stage for dramatic liberalization of international telecommunications. This insulated the Internet from economic and technical regulation and quickly became the greatest deregulatory success story of all time. Since the Net's inception, engineers, academics, user groups and others have convened in bottom-up nongovernmental organizations to keep it operating and thriving through what is known as a "multi-stakeholder" governance model. This consensus-driven private-sector approach has been the key to the Net's phenomenal success. In 1995, shortly after it was privatized, only 16 million people used the Internet world-wide. By 2011, more than two billion were onlineâ€”and that number is growing by as much as half a million every day. This explosive growth is the direct result of governments generally keeping their hands off the Internet sphere. Net access, especially through mobile devices, is improving the human condition more quicklyâ€”and more fundamentallyâ€”than any other technology in history. Nowhere is this more true than in the developing world, where unfettered Internet technologies are expanding economies and raising living standards. Farmers who live far from markets are now able to find buyers for their crops through their Internet-connected mobile devices without assuming the risks and expenses of traveling with their goods. Worried parents are able to go online to locate medicine for their sick children. And proponents of political freedom are better able to share information and organize support to break down the walls of tyranny. The Internet has also been a net job creator. A recent McKinsey study found that for every job disrupted by Internet connectivity, 2.6 new jobs are created. It is no coincidence that these wonderful developments blossomed as the Internet migrated further away from government control. â€¢ Impose unprecedented economic regulations such as mandates for rates, terms and conditions for currently unregulated traffic-swapping agreements known as "peering." â€¢ Regulate international mobile roaming rates and practices. And let's face it, strong-arm regimes are threatened by popular outcries for political freedom that are empowered by unfettered Internet connectivity. They have formed impressive coalitions, and their efforts have progressed significantly. Merely saying "no" to any changes to the current structure of Internet governance is likely to be a losing proposition. A more successful strategy would be for proponents of Internet freedom and prosperity within every nation to encourage a dialogue among all interested parties, including governments and the ITU, to broaden the multi-stakeholder umbrella with the goal of reaching consensus to address reasonable concerns. As part of this conversation, we should underscore the tremendous benefits that the Internet has yielded for the developing world through the multi-stakeholder model. Upending this model with a new regulatory treaty is likely to partition the Internet as some countries would inevitably choose to opt out. A balkanized Internet would be devastating to global free trade and national sovereignty. It would impair Internet growth most severely in the developing world but also globally as technologists are forced to seek bureaucratic permission to innovate and invest. This would also undermine the proliferation of new cross-border technologies, such as cloud computing. Any attempts to expand intergovernmental powers over the Internetâ€”no matter how incremental or seemingly innocuousâ€”should be turned back. Modernization and reform can be constructive, but not if the end result is a new global bureaucracy that departs from the multi-stakeholder model. Enlightened nations should draw a line in the sand against new regulations while welcoming reform that could include a nonregulatory role for the ITU. Pro-regulation forces are, thus far, much more energized and organized than those who favor the multi-stakeholder approach. Regulation proponents only need to secure a simple majority of the 193 member states to codify their radical and counterproductive agenda. Unlike the U.N. Security Council, no country can wield a veto in ITU proceedings. With this in mind, some estimate that approximately 90 countries could be supporting intergovernmental Net regulationâ€”a mere seven short of a majority. Mr. McDowell is a commissioner of the Federal Communications Commission. The United Nations and their affiliated Non Governmental Organizations continually claim that their arms control treaty efforts are not directed at curtailing legal private ownership of guns. But, the United Nations has instituted 10 day Training Courses designed to help implement international â€œtreatiesâ€� for gun control in Jamaica and throughout the Caribbean. Each session is led by a UN gun control training staff member. The courseâ€™s objectives are to give police technical skills related to firearms identification, ammunition and explosives, and to train the first responders in appropriate and gradual use of force and practical disarmament measures. The United Nations says that the earth is in great danger and that the way you and I are living is the problem. In a shocking new report entitled, "Resilient People, Resilient Planet: A Future Worth Choosing" the UN declares that the entire way that we currently approach economics needs to be changed. Instead of focusing on things like "economic growth", the UN is encouraging nations all over the world to start basing measurements of economic success on the goal of achieving "sustainable development". But there is a huge problem with that. The UN says that what we are doing right now is "unsustainable" by definition, and the major industrialized nations of the western world are the biggest culprits. According to the UN, since we are the ones that create the most carbon emissions and the most pollution, we are the ones that should make the biggest sacrifices. In addition, since we have the most money, we should also be willing to finance the transition of the developing world to a "sustainable development" economy as well. As you will see detailed in the rest of this article, the United Nations basically wants to crash the world economy in order to save the environment. Considering the fact that the U.S. and Europe are in the midst of a horrible economic crisis and are already drowning in debt, this is something that we simply cannot afford. we'd never invented the internet?'. This is what threatens us. I lay that down as a major, major subject. The UN Wants To Be 'Ultimate Authority' Over The Internet. UN about to take control of the Internet. Forget SOPA - this is international control - Forget Privacy - Seems "One World Government" is coming together. With people all over the world standing up to the tyranny of the banks through all the governments and the information getting out to others around the world.... The governments want to stop the information. All the countries are actually ruled by the banks which are actually all owned by the same people. So they are now consolidating the power into the UN, so they don't have the hassle of dealing with all the individual countries. The UN is seriously about to be the "One World Government." The UN is looking to be the "Police" of the internet with individual countries releasing their own control. 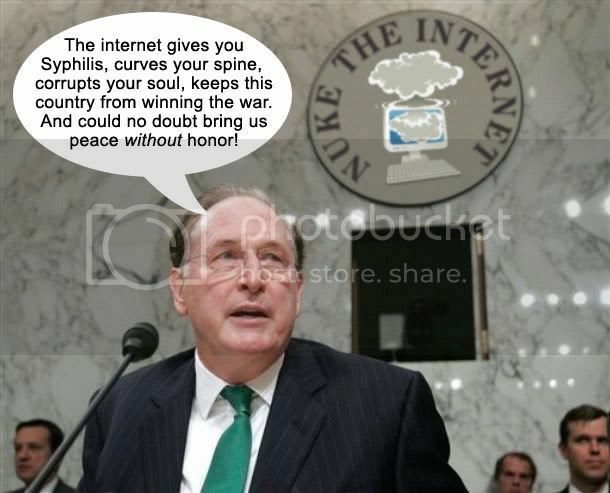 This is why the Congress and Senate didn't care about the SOPA bill not getting through. The UN will control the internet. It seems countries are now relinquishing individual sovereignty more and more to the UN. They are even discussing having a "One World Court" a "One World Regulatory Banking". In other words the "One World Government" is coming together via the UN. Is this why they will attack all countries that are not willing to be part of the "One World Government?" The U.N. is the attack dog not the master, they take orders. These UN reps are deep into the game, I have a feeling they understand that they remain on a safe and privileged plateau as long as they go along. To take a stand against the true powers, to blow the whistle, would in my opinion be their undoing and shorten their lifespan. 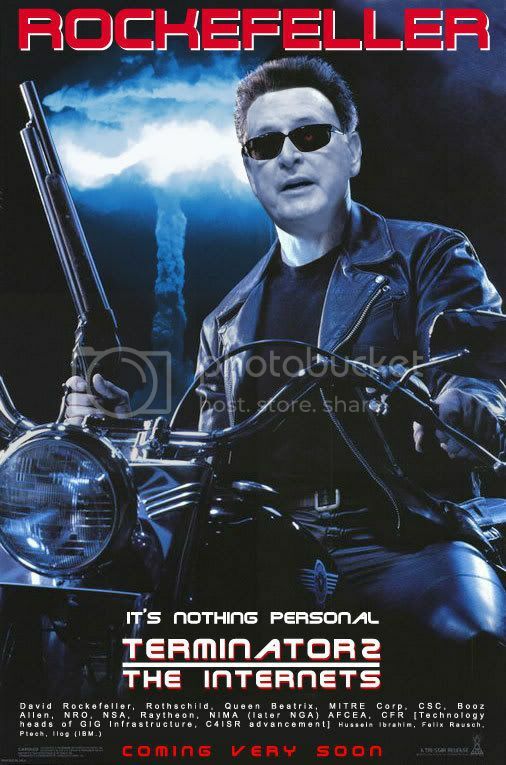 All they have to do is play ball- puppets can have their strings cut. The middle east is on fire, however the smoke is clouding a clear vision, the USA is the primary target. This is global, yes, but we are the nucleus. So many great men have said through the years the only way to take down our nation is from within, this tactic requires global influence. I can't put aside the fact the last men who stood against these power freaks were assassinated, my point being these UN-ers are well aware of the consequences if they should disobey. There is now one man who has the courage to stand up and tell the people of this nation the truth against all odds, GO *Ron Paul.